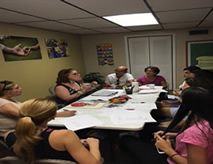 CONVERSATIONAL ENGLISH CLASSES - Cityreach is addressing a need among our spanish speaking clients - that of learning English. 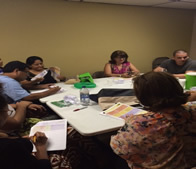 About 80% of our clients are hispanics with a desire to learn English. 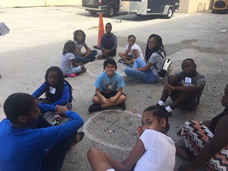 Maureen Escobar is a retired Miami Dade certified teacher and counselor that has felt the need to use her gifts to help those that desire to learn to convers in English. 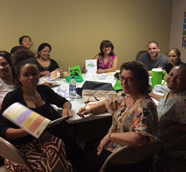 On Tuesdays during distribution nights from 5:30pm - 7pm join this group of eager learners as Maureen teaches the basics of the English language. We are considering expanding these services as resources become available. 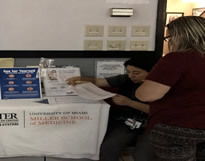 ANNUAL HEALTH FAIR - The community is welcome to take advantage of various health agencies on site, such as: CHI (with their regular blood pressure & glucose testing table in addition they will have dental, and other services their offer). Linda Fenner Mammogram Unit will be here to take appointments. Silverman Chiropractic Services will be also here along with others. Event is FREE on Tuesday, April 23rd from 5:30pm-7pm - light refreshment served. PAST EVENTS (see what we've done years passed). VOCATIONAL REHAB ORIENTATION - Vocational rehabilitation is a federal-state program that helps people who have physical or mental disabilties prepare for, find, or keep a job. VR is committed to helping people with disabilities find meaningful carrers. Do you have a disability but still desire to work? Then you may be Eligible for VR Servies? For more info. you may call (850) 245-3399 or (800) 451-4327. This event was held on Tuesday, March 26th from 6:30pm - 7pm. HABITAT FOR HUMANITY (HOUSING) - A Habitat for Humanity representative was here on Tuesday, February 19th from 6pm-7pm to explain how low-income families can enroll into their program that allows them to own their own home. For more info on this you can visit website. 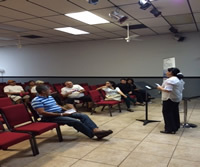 "MANAGING YOUR $ MONEY" - A Wells Fargo representative conducted informative workshop to help you stretch your money. This event was held on Tuesday, January 22nd from 5:30pm-7pm. FREE. 2018 THANKSGIVING TURKEY GIVEAWAY - For 8 years Cityreach has been providing Thanksgiving Turkey to the local low-income families that register. 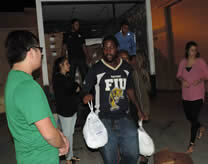 This year on Tuesday, November 20th we gave out 134 turkeys! This event was made posible by our wonderful and generous partners: THE CLOSET FACTORY, ANTHEM (SIMPLY HEALTH CARE), MR. BASIL & Individual PUREHEART FAMILIES that donated. 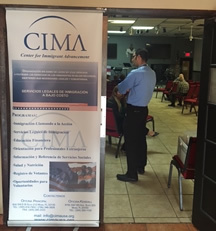 CIMA (Center for Advancement for Immigrants, Inc.) Cityreach in partnership with CIMAoffered on Tuesday, November 6th - 5:30pm-7pm 1 1/2 hour of FREE orientation on latest immigration laws. What changes and new immigration regulations. Where and how to receive immigration forms such as citizenship, residency, political asylums, work permits, visa lottery. Where to go to get help with test to become an American citizen, plus Q&A time. 2018 FIU (LINDA FENNER MAMMOGRAM UNIT) - PINK EVENT - Tuesday, October 23 from 9am to 2pm the Linda Fenner Mammogram Unit will again be with us offering free mammogram screening to women that qualify: Over 40 years old, have not had mammogram this year, must NOT have insurance, must NOT have any previous cancer issues, be a Miami Dade resident. 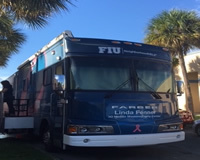 We appreciate our faithful partner, ANTHEM for the initial connection with the FIU Linda Fenner Mammogram Unit. CALL 305-259-7677. 2018 NUTRITION WORKSHOP - Tuesday, July 10, 24. Aug. 3, Sept. 11, 25th the UF Institute of Food and Agricultural Sciences offered 6 hours of nutrition classes (bi-lingual). This is a FREE class to help families understand and acquire new eating habits in order to help reduce illnesses. 2018 C.H.I. HEALTH FAIR - Tuesday, October 9th C.H.I. - 4pm - 8pm - offering: Depression Screening, Diabetes Screening, Dental Education, Open Enrollment, Food Stamp Enrollment. 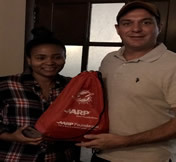 We also appreciate the AARP Hurricane bags provided by the local AARP office. 2018 VBS (Vacation Bible School) SHIPWRECKED - For a full week starting August 6 through 10th from 8:30 am to 12:30pm. 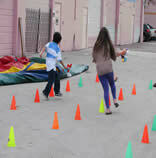 Children enjoyed lots of games, crafts, music, awesome stories and FREE snack & hot lunch provided by Flipany! 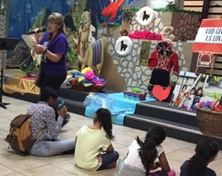 This is a faith-based partnership with PureHeart Christian Center's Childrens Ministries. This event is an annual event for children ages 5 - 12 years old FREE of charge! 2018 BACKPACK GIVEAWAY - On Tuesday, August 7th at 7pm. 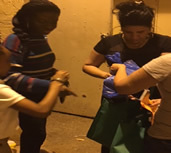 CityReach was able to do this event on Tuesday, August 7th. Had an amazing time with about 100 children receiving backpacks with school supplies! This event was fully funded by the generosity of PureHeart Christian Center. 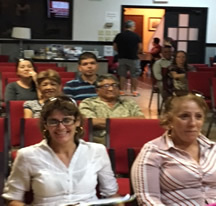 2018 BUDGETING WORKSHOP - Cityreach & Wells Fargo Bank (Lupe Casanova) offered a very well received Spanish Worshop teaching over 35 people in attendance the way to create a budget and stay within it in order to stay out of debt and save. This event was held, Tuesday, May 8th from 5:45pm-7pm. 2018 DENTAL MOBILE UNIT - Cityreach & Project Smile Mobile Unit offered FREE dental services (cleaning, fillings or extractions) to 20 people on Saturday, April 7th from 9:30am - 2pm. 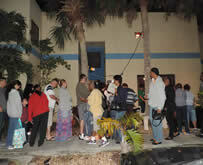 Individuals that benefited from these services where Miami-Dade County low-income individuals with NO dental insurance. 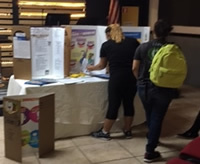 We appreciate the partnership with this Project Smile Mobile Unit from Caring Miami. 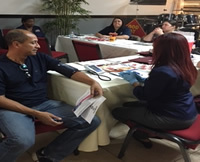 2018 ANNUAL HEALTH FAIR - Cityreach along with local health providers such as: Simply Health, CHI (offering FREE blood pressure & glucose testing, information on Food Stamps applications), Silverman Chiropractic Services, FIU Linda Fenner Mammogram Unit (taking appointments for our October Pink Day - FREE mammograms for low income woman over 40 years old), Heartbeat of Miami (Pregnancy Center) where present to give guidance and services to those present. This took place on Tuesday, April 10th from 5:30pm - 7pm. FREE event, refreshments and door prizes given out. 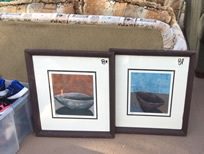 GARAGE SALE - Saturday, March 10th, 2018 from 9am - 3pm we held a MULTY-FAMILY GARAGE SALE to help poor communities in the Dominican Republic (funds raised will be used to buy medicine and food to be given out between June 18-23rd). We are happy to report that we made over $2,000 at this event. 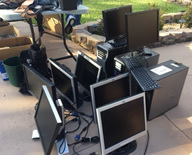 We appreciate a great team of volunteers and those that donated items to us. Thanks you! 2017 THANKSGIVING TURKEY GIVEAWAY - For 7 years Cityreach has been providing Thanksgiving Turkey with trimmings to the local low-income families. 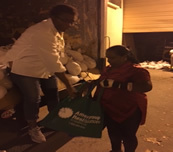 This year on Tuesday, November 21st we gave out 190 turkeys (without trimmings) to families in need that registered. 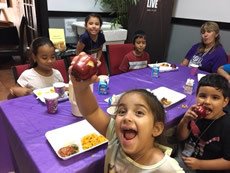 This event was made posible by our wonderful partners: Global Legal Services (Mike Mirabal), Leon Medical Centers, Omega Pharmacy, Silverman Chiropractic Services, families from PureHeart Christian Center. 2017 "PINK EVENT" - Saturday, October 21st- from 9am to 3pm the FIU Linda Fenner Mammogram Unit was with us offering free mammogram screening to women that qualify: Over 40 years old, that have not had mammogram this year, that did not have insurance, must not have any previous cancer issues, be a Miami Dade resident. 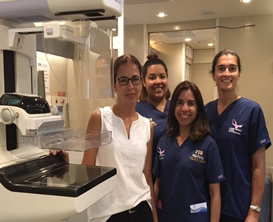 We appreciate our faithful partner, Amerigroup, for the initial connection with the FIU Linda Fenner Mammogram Unit. Close to 20 ladies where screened through this effort. 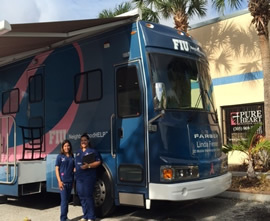 Thank you FIU Mammogram Unit for being with us. 2017 JOB SEEKERS WORKSHOP - On Tuesday, August 22nd from 3pm - 5pm we held a great workshop to help folks get back into the job market. 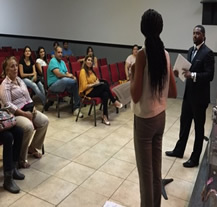 The workshop offered by Career Source of South Florida gave excellent advise on how to create an good resume, how to interview well, dress etiquette and gave time for Q&A. They also share where to access jobs, and how they can offer free skills development & training for those needing it. This event wll be held again soon. 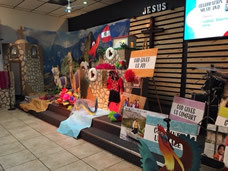 2017 VBS (Vacation Bible School) PERU - For a full week of August 7 through 11th from 8:30 am to 12:30pm preregistered children enjoyed lots of games, crafts, music, awesome stories and FREE snack & hot lunch provided by Flipany! Children also learned how other children (in Peru) live! 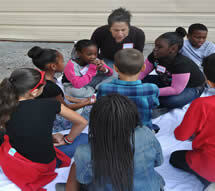 This is a faith-based partnership with PureHeart Christian Center's Childrens Ministries. This event is an annual event for children ages 5 - 12 years old FREE of charge! 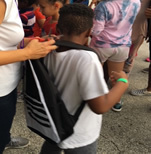 2017 BACKPACK GIVEAWAY - On Tuesday, August 8th at 7pm CityReach gave away over 120 Backpacks to children from Low Income families. Children will enjoy bounce house, refreshments, games where they can win some prizes & then choose a backpack of their choice! 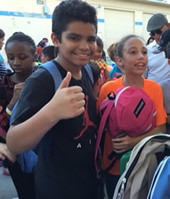 This event was for pre-registed children from K to middle school. The event was made possible by the GENEROUS GRANT FROM WALMART. We encourage you to support your local Walmart! 2017 NUTRITION WORKSHOP - From Tuesday, May 23 - Ending Tuesday, August 8th, 2017. The UF Institute of Food and Agricultural Sciences offered 6 hours of nutrition classes (bi-lingual). This is a FREE class to help families understand and acquire new eating habits in order to help reduce illnesses. Last years classs was a hit and we anticipate a great turn out as many have expressed a desire to eat heathier. The class is offered in colaboration with Amerigroup & facilitator, Layne Navarra from the University of Florida. TESTIMONY: "Before the Nutrition class I was weighing 158 lbs by the end of the class, I was weighing 152 lbs. I stopped eating canned products, I lowered my sugar & salt intake and started walking more." V. Contreras. 2017 "PINK EVENT" - Tuesday, May 23 & 24 - from 9am to 3pm the FIU Linda Fenner Mammogram Unit was with us offering free mammogram screening to women that qualify: Over 40 years old, have not had mammogram this year, must NOT have insurance, must not have any previous cancer issues, be a Miami Dade resident. 25 women received a FREE 3D mammogram, courtersy of FIU! We appreciate our faithful partner, Amerigroup, for the initial connection with the FIU Linda Fenner Mammogram Unit. We hope to continue this relationship into future years. "LET'S TALK ABOUT CREDIT" - Cityreach & Wells Fargo offered a FREE WORKSHOP - Thursday, April 27th from 6:30pm-7:45pm. Since having good credit will open many doors and offer you better options. We learned all about: Basic Credit, How to Establish Credit, Improve your Credit, How to Manage Your Debts, Explore Credit Options. 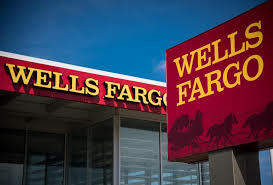 Thank you Lupe Casanova from Wells Fargo for taking the time to instruct us in such important matters. 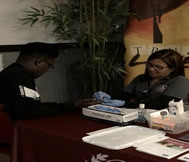 2017 HEALTH FAIR - Held on Tuesday, April 4th CityReach brough community health partners such as: Amerigroup, CHI, Dr. Silveman Chiropractic Services FIU Linda Fenner Mammogram program. The community enjoyed refreshments, got plenty of health information, ladies where able to sign-up for free mammograms and free glucose & blood presure testing on the spot was provided to anyone. 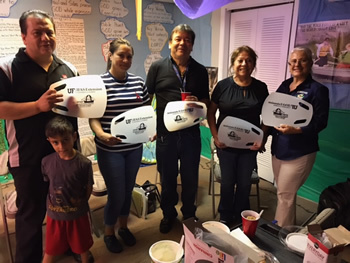 "HABLEMOS DEL CREDITO"/ "LET'S TALK ABOUT CREDIT" - Cityreach together with Wells Fargo offered a FREE workshop on Wednesday, March 15th from 6:30 to 7:45 pm. 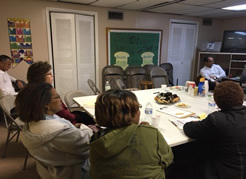 Since having a good credit open the doors to better opportunities, the community was invited to learn: The basics of Credit, How to Establish & Maintain Good Credit, How to Manage Debt & Explore Other Options. Thanks to Facilitator, Lupe Cassanova from Wells Fargo for excellent presentation. 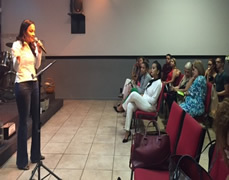 This workshop was offered in both Spanish & English. Pasos a seguir antes de comprar su casa. Daremos tiempo para sus preguntas. ORIENTACION SOBRE COMPRAS DE CASA SE PUEDE OFRECER CON SOLO LLAMAR AL 305.259.7677 Y PEDIR INFORME. 2016 "TOYS FOR JOY" Distribution - Sunday, December 18th at 11am. 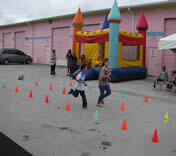 The PureHeart Children along with friends (pre-registration is required and space is limited) will enjoy games, bounce house, refreshments and gifts! To register the children parents must come into the office prior to December 11th. 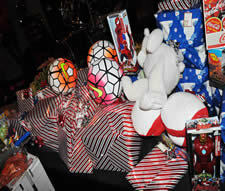 Children must be present on Dec. 18th and pre-registered to receive gift. 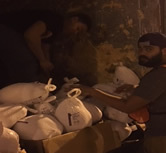 2016 THANKSGIVING TURKEY GIVEAWAY - With the help of the partners below, we where able to give close to 190 Thanksgiving turkeys and some side trimmings on Tuesday, November 22nd during a 6 and 7pm distribution. 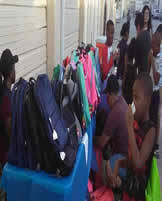 Thank you parnters for your commitment and vision to help the needy. Los derechos y responsibilidades del Ciudadano Americano. 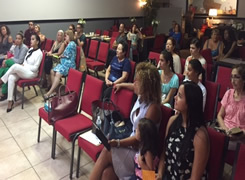 2016 NUTRITION WORKSHOP - On Tuesday September 6th, 2Oth and concluded on October 18th. 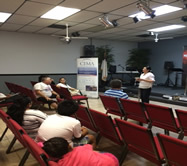 CIMA joins us again with a UF Institute of Food and Agricultural Sciences instructor and offered 3 hours of nutrition classes (bi-lingual). This is a FREE class to help families understand and acquire new eating habits in order to help reduce illnesses. Last years classs was a hit and we anticipate a great turn out as many have expressed a desire to eat heathier. The class is offered in colaboratin with Flor Castaneda from CIMA and Layne Navarra from the University of Florida. PINK EVENT - Tuesday, October 4 from 9am to 3pm the Linda Fenner Mammogram Unit was with us offering free mammogram screening to women that qualify: Over 40 years old, have not had mammogram this year, must NOT have insurance, must not have any previous cancer issues, be a Miami Dade resident. 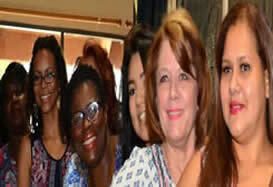 25 women received a FREE 3D mammogram, courtersy of FIU! We appreciate our faithful partner, Amerigroup, for the initial connection with the FIU Linda Fenner Mammogram Unit. We hope to continue this relationship into future years. WORKSHOP "SOVEREIGNTY & PROCESS" geared towards helping families that are new to this country. 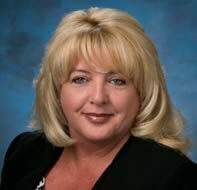 Psychiatrist, Dr. Mencia Gomez did a great job helping those individuals in transition. 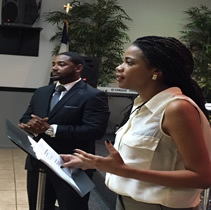 The Event was held Saturday, August 20th from 10am - 12 noon. A great breakfast was put together by the PureHeart for our Cityreach clients. Over 40 where in attendance. BACKPACK GIVEAWAY 2016 - Saturday, August 13, 2016 from 9am-2pm. Indian Hammocks Park - 11395 SW 79th St., Miami, FL 33173. At Shelter #5 the first 100 elementary age children that say password "Backpack" will receive a Backpack with school supplies. FREE Haircuts for children desiring to get a trim. 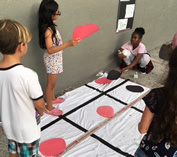 Food, Games & Fun! Bring the Whole family! Event partners: Amerigroup, PHCC and 4Ward Youth Group, & friends! Call 786-567-0913 or emial info@cityreach ministries.com to request material in accessible format, information on access for persons with disabilities, or a sign language interpreter (7 days in advance). SPECIAL MOTHER'S DAY DINNER HONORING THE "WARRIOR MOMS" - Saturday, May7th, 2016 from 4:30-8:00pm. We appreciate the underwrittten event that honored our Warrior Mom's. 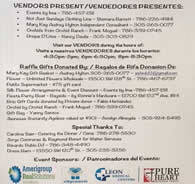 Sponsors such as: Amerigroup, Cityreach Ministries, Dress Barn, Leon Medical Center & PureHeart Christian Center. "PINK" EVENT - FIU & CITYREACH JOIN FOR FREE MAMMOGRAM SCREENING - Tuesday, June 7th, 2016 - 9am to 3pm. 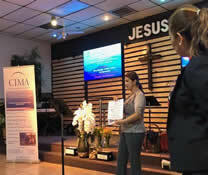 With the connection power of Gina Gonzalez of AMERIGROUP, this mammogram creening was offered to those that met the following criteria: 40 years old and above, not have had a mammogram in last year, no history of cancer, no breat symptioms such as lumps or bumps, not pregnant, UNINSURED, lives in Miami-Dade county. Approximately 19 ladies benefited from this service. 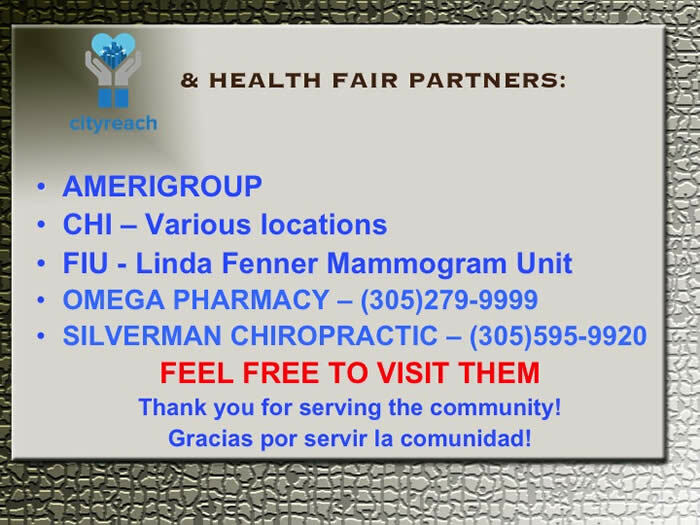 Special thanks AMERIGROUP and to FIU Linda Fenner Mammogram Unit and it's profesional team! We anticipate working together with them in near future. JOB SEEKERS WORKSHOP - Tuesday, April 19th - 6pm-7pm. Career Source of South Florida will be giving an hour workshop, addressing the following: Building Resumes, Interview skills, Dress Etiquette for Interview, Job placement services. In addition they will offer free information on where to access skill development and training so you can go further. For more information, visit www.careersourcesfl.com. Career Source FL offering job assistance - future workshop with Career Source on Tues., April 19th. How to identify if your child is a victim or maybe even the agressor in bullying? What help is available?... and much more excellent information offered by profesional counselor in topic! This is a bi-lingual workshop (English/Spanish). Children are welcome! On Tuesday, January 12, 2016 from 7pm-8:30pm. START THE YEAR PUTTING YOUR FINANCES IN ORDER! 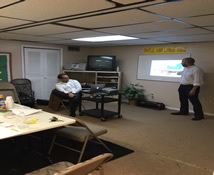 Opportunity to learn how offered in partneship with Cool Credit Repair, LLC. Are the credit repair companies "reliable"? How credit affects my finances and vice versa. Time for question and answers by expert advisers in finance. El martes, 19 de enero, 2016 de 7pm - 8:30pm. COMIENZA EL ANO PONIENDO TUS FINANZAS EN ORDEN. Oportunidad de aprender como con la cooperacion de Cool Credit Repair, LLC. Finanzas personales y sus implicaciones en pode comprar, conozca sobre los mitos del credito americano y su realidad. Son las compañías de ‘REPARACION DE CREDITO” confiables? Como afecta el Crédito mis finanzas y viceversa. Sesión de preguntas y respuestas por expertos consejeros en finanzas. 2015 "TOYS FOR JOY" Toy distribution - Sunday, December 20th was lots of fun day at PureHeart as toys where given to over 50 children. Gave away a bunch of bikes, kids enjoyed bounce house and lots of games! 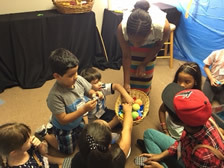 As the adults enjoyed a service indoors the kids also had a time to break into groups and reflect on the best gift - JESUS! Then the children joined the adults and received their gifts. 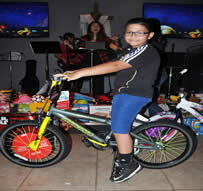 But then, we where left with more toys...so Cityreach kids where called and they too on Tuesday, December 22nd got toys! We want to thank the families that contributed towards this by giving, bring toys and to the Roiz family for taking upon themselves the task of going out to buy many of the presents. We are also thankful for Harvest Consulting Ga, KL Communicate, Inc., Empower Health Fintness, Omega Pharmacy for donating many toys! DOMESTIC VIOLENCE Awareness Class - On Tueday, November 17th at 7pm Cityreach with PureHeart and Banyan Street Community Center will host a Presentation and Discussion on Domestic Violence. You'll learn what domestic vioulence is and what it is not. You'll be able to recognize the signs and be offered options in assistance. Who can benefit from this? Anyone working social services, anyone desiring to help friends or even for your own personal growth. This class is FREE and will be given by liscense Marriage Advocate Therapist and victim advocate, Victoria A. Dickman from Banyan Street Community Center. For more information, please call 305.259.7677. NO PICTURES DUE TO CONFIDENTIALITY. On Tuesday, November 24th we with the generous support of local business partners such as: El Rinconcito Restaurant, Design Therapy of Miami, Closet Factory, Native Concepts Landscaping, Leon Medical Center, Omega Pharmacy, Silverman Chiropractic Center, The Wardrobe, Tax Executive, Red Letter Construction and many individual PureHeart families and friends we were able to purchase 225 turkeys to bless the community in need. 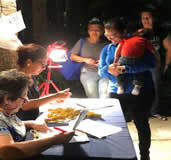 There was also a great display of support by loving people from young to more mature that came out to serve! Thank you all! 2015 NUTRITION WORKSHOP - On Tuesday September 8, 22nd and October 6th. 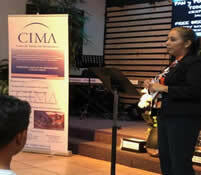 CIMA joined us again with a UF Institute of Food and Agricultural Sciences instructor and offered 3 hours of nutrition classes (bi-lingual) to over 15 present. 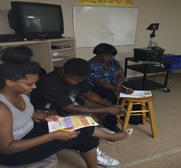 This was again a FREE class to help families understand and acquire new eating habits in order to help reduce illnesses. The class was a hit, and we are making plans to see if we can do these more often. Thank you Flor Castaneda from CIMA and Layne Navarra from UF. 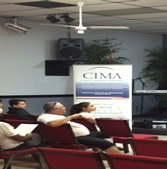 2015 IMMIGRATION WORKSHOP - Tuesday, August 18th we joined with CIMA (Centro de Avance para el Immigrante) and they offered very valuable information to those present. 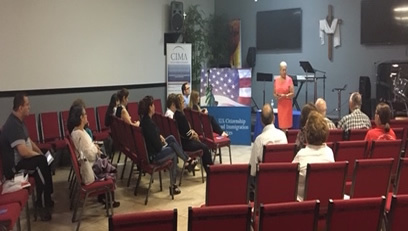 They answered questions regarding new immigrations laws, how to apply for certain permites and shared how they are able to connect you with lawyers that work in sliding scale depending on income to help solve immigration issues. 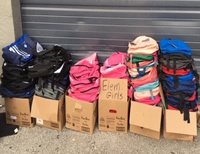 Cityreach along with "The Little Farm" and other local businesses are hosting Backpack Giveaway to 100 children in low-income families within the community. The Backpacks will have elementary grade supplies in it. The first 75 children that line up outside entrance of "The Little Farm" 13401 SW 224th St. Redland, FL 33170 by 9:30am and say the password "Backpack" as they enter will go in for FREE! The remaining 25 children after the initial 75 will need to pay $10 p/p for entrance. All the children will enjoy pony rides, the petting zoo and a tour of the farm. The event is from 9:30am to 12 noon. 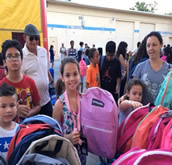 The second part of this event (for those that could not make it to The Little Farm) was held on Tuesday, August 18th at PureHeart Christian Center - where 40 backpacks where given out. 2014 "TOYS FOR JOY" Toy distribution - Sunday, December 21st was a great fun day at PureHeart as toys where given to over 75 children. Gave away a bunch of bikes, kids enjoyed bounce house and lots of games! We of course gathered around for a little time to remember the reason for the season - Jesus coming to save us! We want to thank the families that contributed towards this by giving, bring toys and to the Roiz family for taking upon themselves the task of going out to buy many of the presents. 2014 THANKSGIVING TURKEY DINNER DISTRIBUTION - Tuesday, November 25 again at 6, 7 & 8pm we where able to serve over 250 families with a nice size turkey and trimmings. 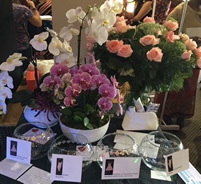 We appreciate the donation of sponsors like Beauty Schools of Americ, Sylverman Chiropractic office, The Closet Factory, Omega Pharmacy and Pureheart families that donated for this cause. 2013 THANKSGIVING TURKEY DINNER DISTRIBUTION - Held on November 26th at 6pm, 7pm and 8pm. Again this year we where able to give away 226 turkey dinners with a main sponsor Beauty Schools of America, Publix of Dadeland, Kendall Community Church, Silverman Chiropractic and a few friends of Cityreach. Again a breat big thank you to all that contributed financially and gave of their time. 2013 Turkey Dinner Distribution - Over 226 Turkeys given out! 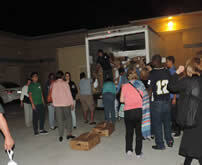 2012 THANKSGIVING TURKEY DINNER DISTRIBUTION - Tuesday, November 20th at 6pm, 7pm, 8pm. This year with the generous support of our Pureheart famiies and local businesses we were able to provide over 260 families with turkey dinner and the trimmings. The sponsoring businesses where: Beauty Schools of America, Compassion in Action International, Everest Institute, The Closet Factory, TIA (Travel Industry Association), Omega Pharmacy, Silverman Chiropractic and West Kendall Community Church. Thank you very much! 2012 Turkey Dinner Distribution - Over 260 Turkeys given out! (Spanish 1 hour workshop on Empowering Parents - this workshop will be done in English at a later date). 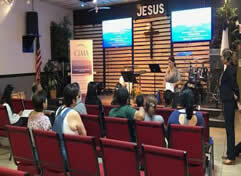 Lugar: Cityreach Ministries - 12236 SW 128th St.
Hora: 7:30 pm - 8:30 pm. Espacio Limitado, por favor de reservar su espacio con llamar al 305-259-7677. 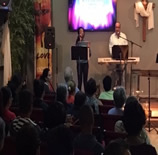 Este evento es patrocinado por Project U-Turn division de Family & Children Faith Coalition. 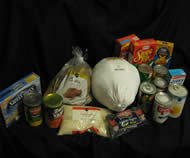 2011 THANKSGIVING TURKEY DINNER DISTRIBUTION - Tuesday, November 22nd, 2011 at 6pm, 7pm & 8pm. In 2011 with the support of many faithful church families and local business were were able to bless 317 families with a Turkey Dinner! 2011 Turkey Dinner Distribution - 317 Turkeys given out! 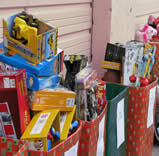 2011 "TOYS FOR JOY" Toy distribution was held Sunday, December 25, 2011 from 10am to 12noon. 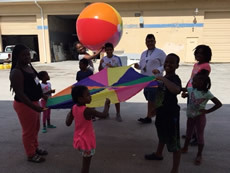 Close to 100 children participated in games, enjoyed the bounce house, worship and a Christmas presentation by Martin Pino from Rescue Miami. When the adult service finished the parents joined the children and they all received toys. Two bikes where also raffled. Thank you to all the participating business, such as: Edible Arrangements in Florida City & Kendall Dr., Silverman Chiropractic Offices, Beauty School of America and many contributing families. 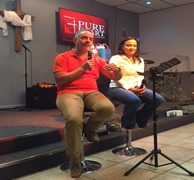 For more pics you can visit pureheart Christian Center in facebook. In 2010 with the help for many friends in the community were were able to give out over 150 Turkey Dinners to needy families. 2010 Turkey Distribution - 150 Turkey Dinners given out.